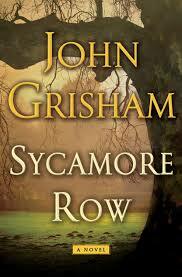 Grisham is back! For awhile there it looked like he’d permanently changed his genre but with the last book, The Racketeer, and this one perhaps he only took another short reprieve. Legal thrillers are probably my favorite in the crime genre. After the dying Seth Hubbard kills himself to end his pain and shorten his time, attorney Jake Brigance of Grisham’s first book, A Time to Kill, gets the job of lead attorney to defend the will he hand wrote the day before his death. Tangle? This all takes place in 1989 in the small town of Clanton, Mississippi and the will gives 90% of what turns out to be a 20 million dollar estate to Seth’s black housekeeper. There are many more tangles as Grisham leads the reader through a maze of well written and hugely suspenseful legal battles.